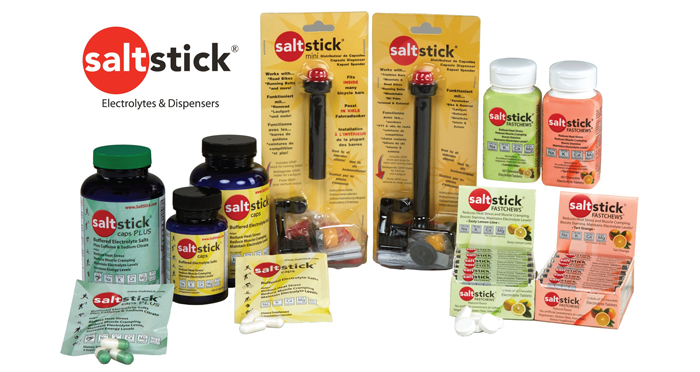 SaltStick electrolyte capsules and dispensers are the choice of World Champions. SaltStick Caps are the most comprehensive solid electrolyte source with sodium, potassium, magnesium, calcium, and chloride to minimize muscle cramping and heat stress during training and endurance events. The only electrolyte capsule formulated to closely resemble the electrolyte profile lost in sweat, with a buffered salt composition that helps digestion and absorption. The science-based choice of beginners and pros alike.